It says "A big meeting to discuss forming a Mental Patients Union was held in the evening of 21st March 1973. About 100 people attended this meeting at Paddington Day Hospital. The majority were patients or ex- patients. Most lived in London." 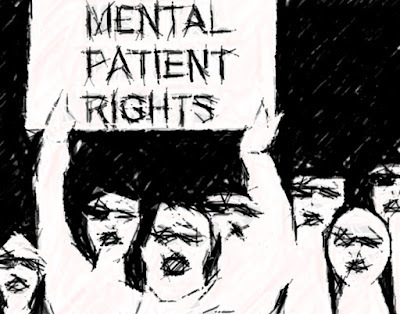 The Mental Patients' Union was an early radical service users group, and grew out of a strike at the Paddington Day Hospital to fight the proposed closure of the hospital. The union grew to have about 500 members across the UK and was active throughout the 1970s. 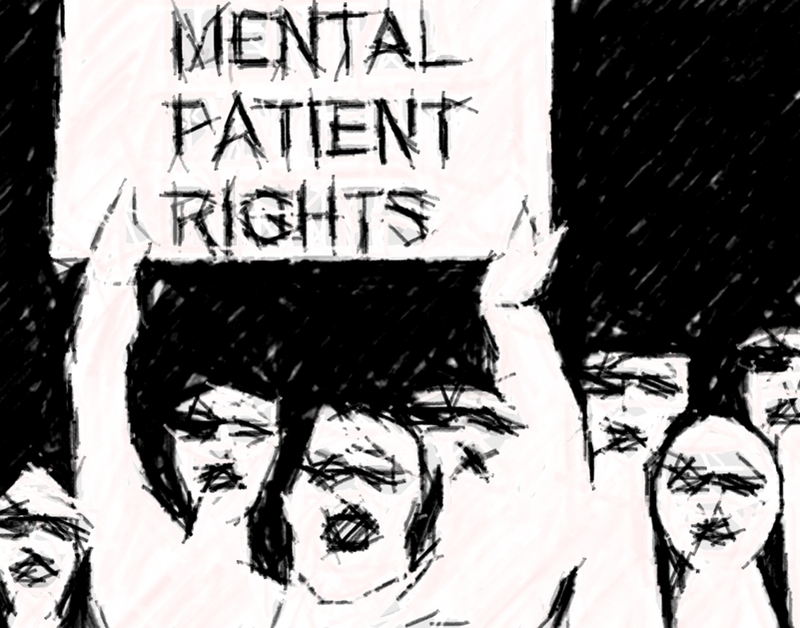 They put together a bill of patients rights called the fish manifesto.